First, I always use frozen fruit. It gives the smoothie bowls a great thick and creamy consistency. 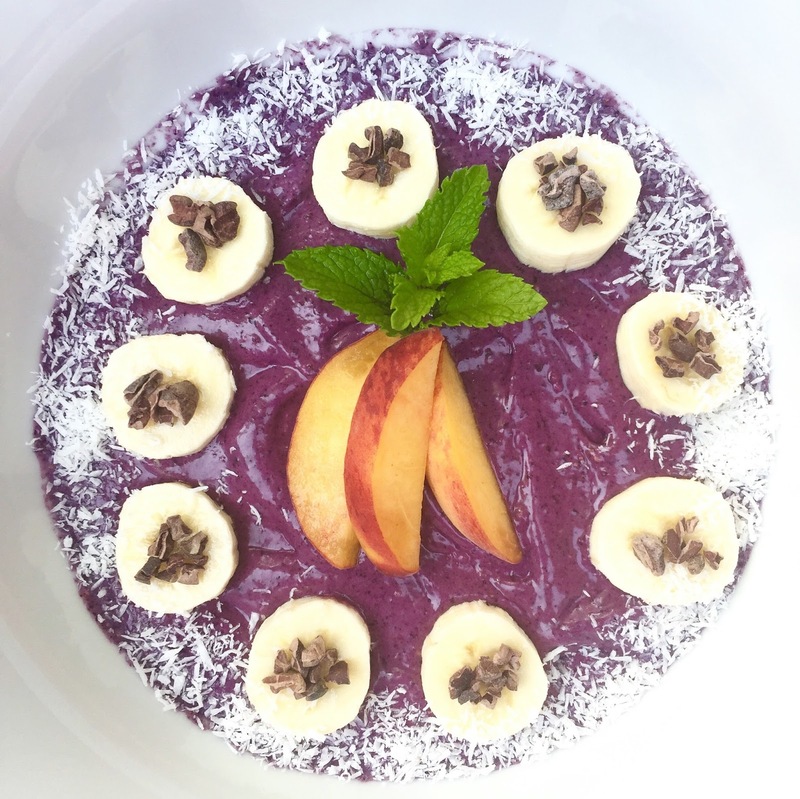 To puree that frozen fruit, though, you'll need a heavy duty machine. If you have a fancy blender (you know, one of the ones that costs as much as a pair of Manolo Blahniks) you can use that. I don't own one (and given the choice I'd rather have the shoes), so I always just use our normal kitchen food processor, and it works fine. 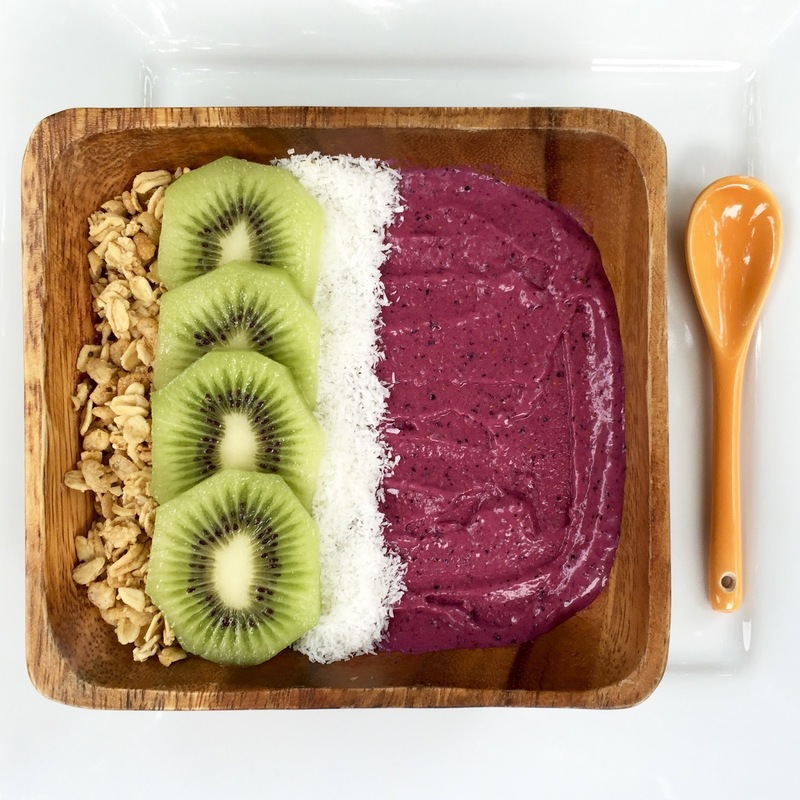 It will take a couple minutes in the food processor to achieve the desired consistency, so don't be alarmed if the mixture just looks like chopped fruit at first - keep blending and it will finally turn creamy. Just combine ingredients in a food processor and puree for 2-3 minutes until creamy (stopping and stirring occasionally of needed). And that's it! Then the fun part: pour into a bowl and decorate as desired. 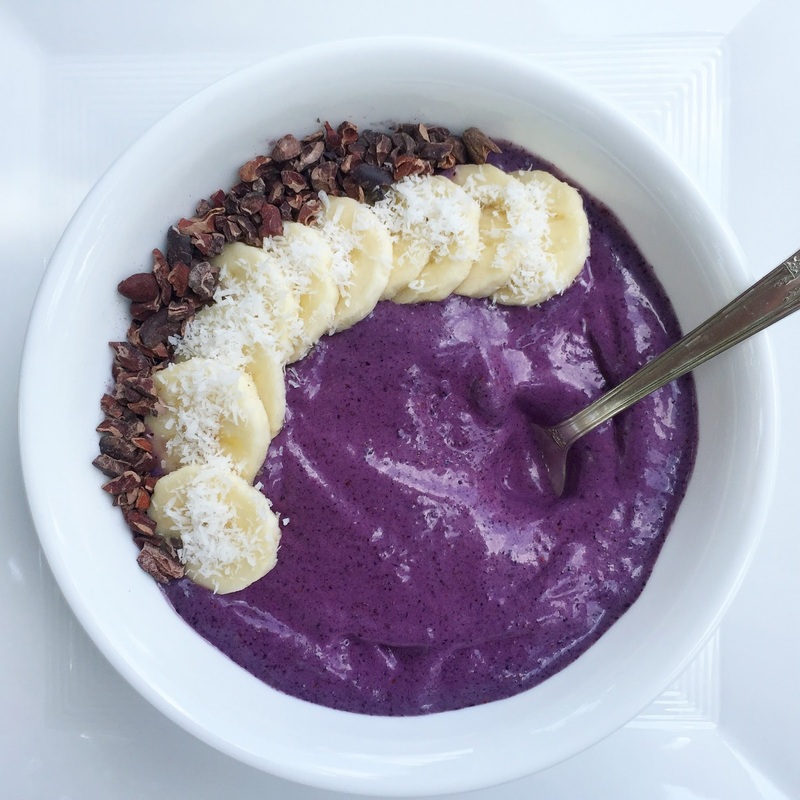 I usually go for chia seeds, shredded coconut, cacao nibs, fresh fruit, nuts, and granola. A couple more tips: I've been freezing our own fresh local fruit this summer. Just take whatever fruit you're using, wash and peel/slice it, then lay it out on a parchment paper lined baking sheet and pop into the freezer overnight. 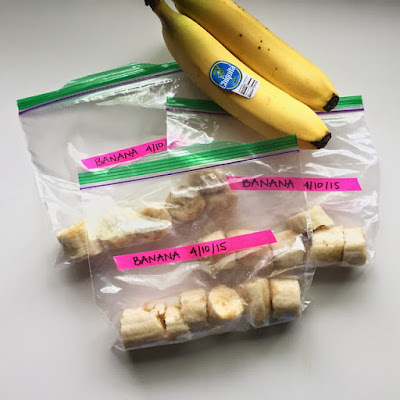 The next day you can transfer the fruit to ziplock baggies. Since they were frozen individually, the pieces won't all stick together as they would have if they'd just been tossed in the ziplock bag to begin with. I just love freezing our own fruit since it's so abundant now during the summer, and it also gives me a chance to save whatever fruit we get in our CSA that we might not be able to use otherwise (right now we are up to our necks in peaches!). This works double for bananas - not local, but I love being able to "rescue" a trash bin-bound banana by slicing and freezing it! Also, no need to do the baking sheet trick for bananas - I just put them directly in ziplocks. My second tip - smoothie bowls make great popsicles! 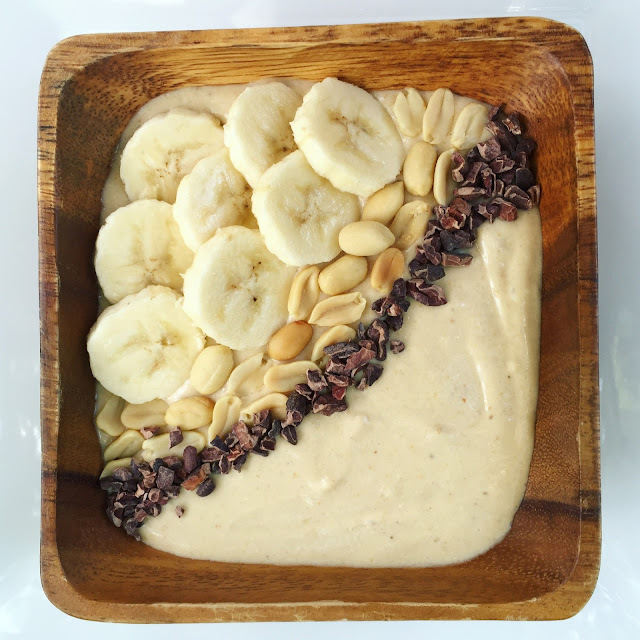 Parker is a big smoothie bowl fan, so usually we have no trouble polishing them off. But once in awhile, if he's not around and I can't finish one, I'll pour the leftovers into a popsicle mold and freeze it, and voilà - instant popsicle! 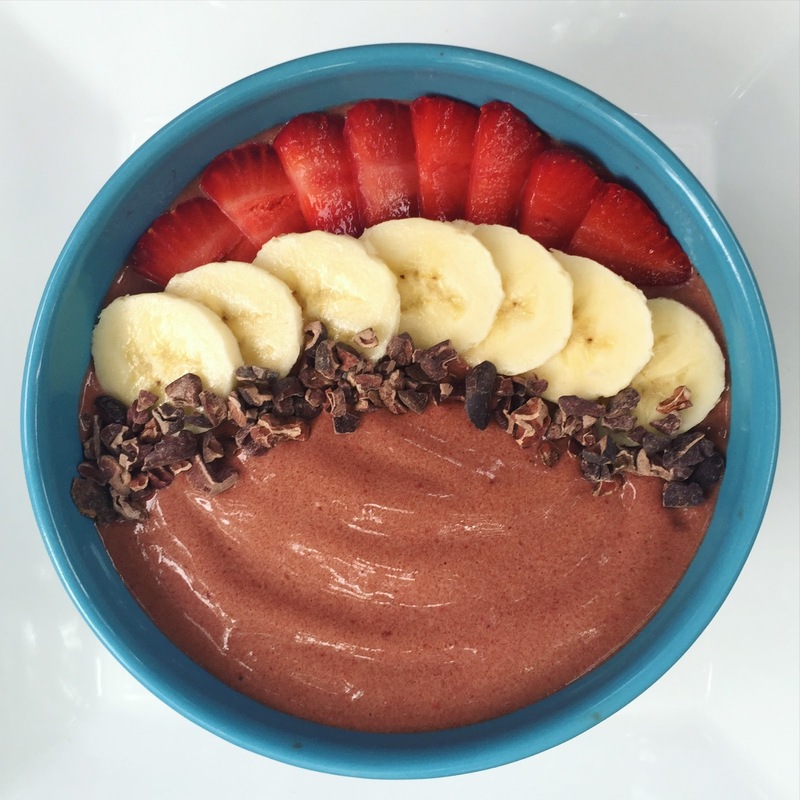 Is anyone else out there smoothie bowl obsessed? Definitely saving this for reference! I haven't tried one yet, but I definitely want to! The PB&J is to die for! These are so beautiful! They are like little works of art! I have never had one but now that you've given us so many ideas of how to make them to fit your tastes, I'm going to give them a try! 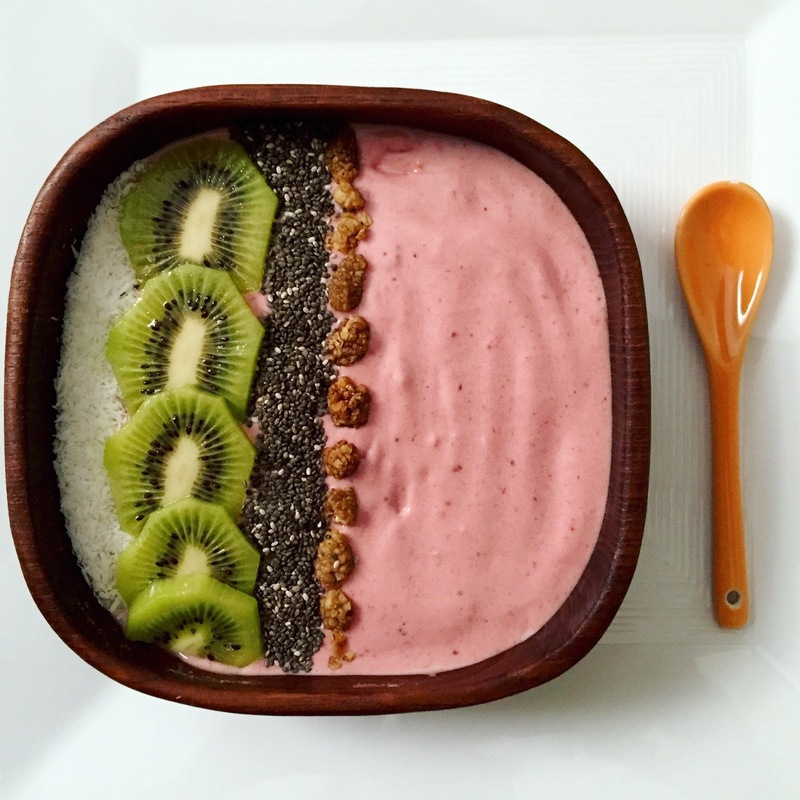 I love smoothie bowls and I want to make all of these. They looks so good.